What inspired me to write this was the love I had for the topic. I consider myself as a European and writing about this topic gave me satisfaction. European identity, as we saw, comprises post-national elements (65%) combined with national elements. It is a western European continental sense of belonging to a European community. 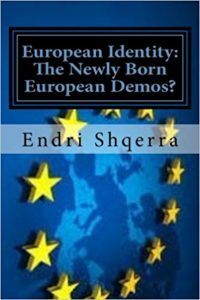 It is a post-national identity combined with national elements whose evolution requires a constitution to serve as a social contract which will make Europeans loyal to the constitution. It requires a deeper integration of the EU and even a ‘federation’, a process which starts with the establishment of the constitution itself.